Do not be afraid to ask us for an estimate. We will be happy to provide you with a free no-obligation quote at affordable rates! We have a base of professional and qualified agent network spread all over the world. We cover all major towns and cities and all strategic sea-ports. We can offer local rates wherever you are! We also offer low air rates for deliveries of any size and weight. We will compare for you the rates to ship your cargo from many local and international shippers. Daily collections and deliveries! Would you like to get an idea of how much it will cost you to move your stuff to Australia? In this section you will find a number of examples of quotes for the moves we have done in the past. Our highly motivated and professional customer service team, are there to put your interests first. We will answer every question you ask! The cost of shipping to Australia is one of the most important factors when it comes to deciding what to take form the UK across the ocean. If this is the case in your situation too, the sea service is the right option for you. It takes more time, but it is much cheaper than other ways of transportation. To reduce the amount of money you will have to pay we offer full container and shared-container solutions. The shared container service is suitable for small loads – from one box to about 800 cubic feet. The sole use container transport service is used for full 3-bedroom and bigger house moves, cars, machines and other cargo exceeding 1000 cubic feet. Unfortunately to get your goods across the ocean you will have to spend a significant amount of money and due to the long route involved it is not too cheap. However we will do everything we can to cut your shipping costs down. The long distance of approximately 10000 miles means that choosing the right freight forwarder for your move may be a major factor that will decide how high or low the cost of sending furniture, a car, a container, boxes or some other items is going to be. The other factors that will increase or decrease your final invoice are the type of services you require, the size (the cubic volume) of your load and the mode of transport. Please keep in mind that as every business also the transport industry has low and high seasons rates. If you can keep your relocation date flexible you will be able to get a good deal. The easiest and the quickest way to find out how much does it cost to ship house contents is to use our online form or simply give us a quick call. Unfortunately it would be just a guessing game if we wanted to tell you how much it is to send your belongings without gathering a few details regarding your move. To provide you with approximate shipping costs for a part load shipment we would need to ask a few simple questions as the price on the invoice would depend on many more factors than those that have been mentioned above. Please imagine you want to have some items moved from London to Aberdeen and some gods from London to Reading. As you probably know the difference will be huge and do you know that the Down Under is 31,5 times bigger than the UK? So when a client is asking us how much to ship to Australia we can't simply answer that questions straight away. We can provide average shipping costs for a full load which are between £2500 and £3500 for 1200 cubic ft and between £4000 and £5500 for 2300 cubic ft but you probably are not going to be fully satisfied with such vague answer. Average shipping cost to Australia can be calculated based on the information you provide by phone or by email. The final and fixed price can be only provided once the house survey has been completed. But do not worry it is free and with no obligation. We can also give a rough idea of costs so you can start planning your moving budget. To calculate your international transport costs, on average you can assume that the approximate rate would be about £3,85 per cubic feet. But please note this is just an average sea delivery rate and it is for the larger amount of cargo and not for sending a small parcel or a few boxes. If you would like to send just a small box you should request international delivery rates from DHL, UPS, TNT, Fedex, USPS or Royal Mail. You can do it online or just go to your nearest post office or a local branch of your preferred company. Unfortunately contacting all of them to compare international transport prices will take a lot of time. Luckily we a perfect solution for you. We provide a great costs comparison service. Simply contact us with your requirements and we will compare offers from many firms. Our service is free and with no obligation. Also there is no commission on top of the bill you receive. It will be the same as if you had contacted DHL, UPS, TNT, Fed-ex, USPS or Post Office directly. The best advantage of comparing prices with us is the speed and the assurance that each courier when using his international moving costs calculator will quote based on the same requirements. The offers you will receive will be very accurate and will not differ a lot from the final amount to be paid as you may want to make some amendments nearer the moving day. You may be also interested in courier services. We will help you find out how much is to ship house content and it does not matter whether it is just a few boxes or a full household. 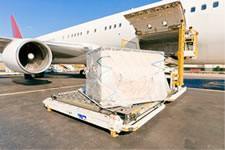 How much is air freight and how to calculate it? Well, it is the international air freight agreement to charge on either the actual gross weight or on the volume weight (Chargeable/volumetric weight), whichever is greater because the volume or weight that can be loaded into an aircraft is limited. For example 200kg of feathers would take up a lot of space on a cargo plain , but due to their light weight the air freight forwarder would earn very little money if charged solely on the actual weight. To assess the volume weight you have to multiply the length, width and height in centimetres and divide by 6000 to obtain the chargeable weight in kilograms. 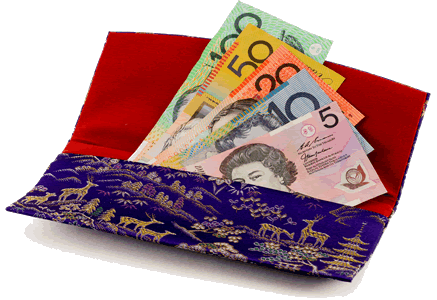 What is the average cost of sending house contents to OZ? Where all the values come from and how are they calculated? What are the main factors affecting how much is to send stuff from the UK to overseas? Well, below you can see a few estimates we have done for some of our previous clients. If you want to find out how much does shipping costs please give us a quick call, chat to us online or simply use the online quotation form. We will be happy to calculate it for you including all approximate charges for any additional services you may need and taxes that may have to be paid. "We moved on 22nd January 2015 and filled a 20ft container which was sent from England to Perth. It cost about £3,440. I got 4 more offers from other shippers and couldn't really see a huge difference really. I chose the most professional offer, called the firm and managed to get a discount of £250 from their initial bid. The estimate was all inclusive :)" Bringing your items to OZ does not have to be expensive. Compare offers with our free online service. Taking in to account the 5 quote we have obtained the average shipping costs was £3200. We did not go with the cheapest price as the quote was very unprofessional! "We paid 3,6k for a 5 bedroom house. 3 adults and 2 children. The final invoice was including baby stuff, 3 double beds, cot, 3 - seater sofa, armchair, travel system, 3-seater couch, PC and a lot of boxes, about 46. The bid included full international packing service, pick up, transportation, quarantine and customs clearance as well as the goods in transit insurance. All items were delivered to our new home and unpacked. Can't remember exactly how much discount we were offered but it was a significant amount of money"
"We have contacted about 7 movers to get the best deal. Our 4 bedroom house content was moved in a 40 foot container and the average moving cost was about £4790. There was a huge difference in the final sum and we were really surprised. We did not choose the cheapest company as the proposal was very unprofessionally prepared with no time-scale, resource schedule, inventory and the freight forwarding costs breakdown. Some removal firms have provided just initial bids giving us approximate transportation costs only." " 1 x 20ft. Container will hold the contents of a 3 bedroom house. It was sent to OZ for £2900.00"
"2 x 2-seater sofa, 2 x 2-seater settee and an armchair, 2 x Large dining and coffee Table + 6 small Chairs, 1 x Dishwasher, 1 x Fridge Freezer, 3 x King size beds, 18 x Cartons variety of 2,5 , 5 and 3 cubic feet - £2570.00"
"We wanted to find out how much it is to ship to Australia from UK. We have contacted a few companies to compare the their bids. The approximate cost of moving to OZ for our personal things like books, documents, ornaments, laptop, camera and a few items of furniture was £711, £950 and £1220. I have tried to get an approximate costs per 1 cubic meter or 1 cubic feet so I can calculate myself how much is to send certain things so I can play with the items I want to take to fit in my moving budget, and just in case my kids and husband wanted to play with the volume by adding extra items. Anyway I am glad I have compared the quotes from about 9 firms and I am glad I did it. Comparing transport deals is grate. I have been given a few good bids and saved on approximately £310." How much to ship a car? - "Vauxhall Vectra or Similar size auto - port to port price excluding taxes, quarantine and other charges can be transported at £1310.00 -. Sending a car may be equal to the 20 foot container - We have been offers approximate delivery cost of £3350 however there may be additional charges and fees. What's an approximate cost of shipping house contents? 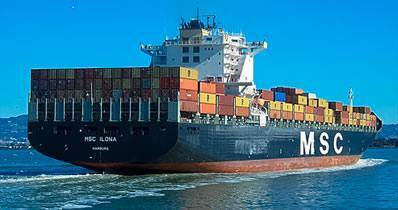 Would you like to find out what are our shipping rates for September 2014? Get free estimate and compare free no obligation bids. No matter what house content you want to ship, just a small box, a full house or a car. We will let you know all charges involved. From packing, trough freight forwarding, to customs, taxes and quarantine clearance charges. With us you will find out all expenses. Nothing will surprise you! Find out how much is to ship house contents and relocate with comfort. How much does shipping cost? - contact us today to find out! We will produce a free proposal for any house content: 1,2, 3, 5, 10, 20, 30, 40, 50 cubic feet, 60, 70, 80, 90, 100, 150, 200, 250, 300, 400, 500, 600 and more cubic feet (ft3). Do you want a price for 1 cubic meter or maybe 2, 3, 4, 5, 6 ,7, 8, 9 or 10 m3? We will do all we can to offer you the best deals available. Our charges are lower than average shipping prices offered by other companies. Give us a quick call and get approximate figures. Calculating international delivery expenses isn't a straight forward thing to do. The prices are mainly based on the cubic volume. What's the cubic volume? It is the space that your goods, boxes, and furniture will take in a container. How to calculate the space required? Simply email us a list consisting of all items you want to import to OZ. Option 6 - All additional charges are set by Australian Government Bodies. We can give you an idea on how much they might be. How much does it cost to import wine, beer, whiskey and other alcohol? Just let us know what options you would like to get and we will work out the charges which will be broken down so you know what you are paying for and can decide which services to take and what option to go with. Give us a call and find out the latest international delivery costs for October 2014. With us you will find very quickly how much to ship a car, furniture, container and other items. Our comparison services will make you happy! Depends on the time of the year the rates go up and down. 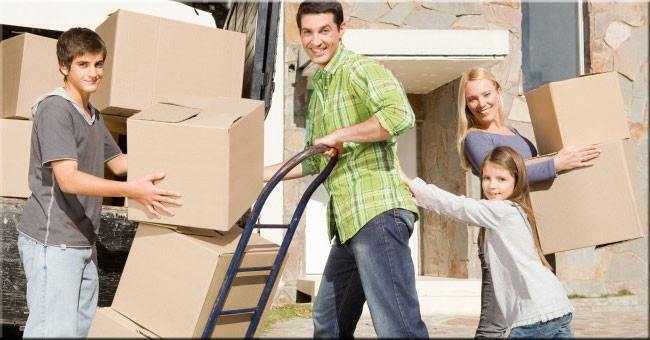 If your relocation date is flexible we can provide a few options and beat offers provided by most of our competitors.